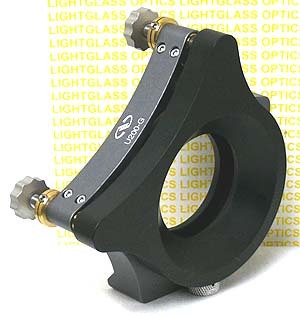 The Newport U200-G2K ULTIMA Gimbal Optical Mount accepts 2" diameter optics, and offers pure tilt, without any translation, due to the patented Newport design. The AJS100-0.5K actuators offer precise positioning because of their 100 TPI design. The actuators can be removed and replaced with Newport's SM, DM, or Powered actuators at nominal extra cost.